A mouth-watering combination of raspberry and hints of blueberry, strawberry, and blackberry make this flavor one you won't want to miss. A mouth-watering combination of raspberry and hints of blueberry, strawberry, and blackberry make this flavor one you won't want to miss. This sweet and tart flavor is full of surprises and the smooth vapor provides a fantastic finish. Amazing - sweet, fruity, berry goodliness! Just received the Razzle today and it’s so yummy. Apollo shipped it all the way to Japan for me and I could t be happier. Will stick with "traditional" liquids. So far of the flavors I got, this is my favorite. The cherry was ok but like this one best. Haven't tried the others yet. Very light flavor but sweet as well. Could have some more fruit added into it I think but maybe not. I did finish the whole bottle and I Will be looking into other fruit flavors as well to see if the other ones have more fruit added to them. A little bit too heavy on the sweet side for me. I usually do the berry blend or the green apple since those are more on the subtle side. Either way I did taste all of the fruit aspects and will try some more of their fruit flavors. I typically enjoy getting this one in 0mg. It tastes good every time that I have bought from Apollo . Consistency is very important to me. My orders always get shipped out quick and arrive quickly as well. This one is very sweet and had a good blend of fruit flavors. I really recommend this one to anyone who likes fruit flavors. The Razzle is a great combo and different from some of the other combo's they have. That's one thing that I like because everything is different. You can really taste the raspberries and all of the other elements that are combined as well. Highly recommend. I always try to grab this one when I'm on the site. I usually go for this one, strawberry and berry blend. All of their fruit flavors are incredible and this one is on my favorites as well. It has a little bit of at tartness to it but also sweet. It is a perfect blend of all my favorite fruit which is why I always try to get some of it as soon as I run out. I cannot get tired of this one. Been vaping is for a while now. It is very sweet and you can taste all of the berries. It is very refreshing and easy to vape all day long. Reminds me of a berry fruit salad. Really glad they have this. I will continue to purchase it! Something different I like. This is very pleasant indeed. Great fast delivery thank you. this is my 2nd favorite flavor behind my Hemi Orange. Pretty good juice in the 6mg nic level . Kinda reminds me of a berry soda . People are right as there is no aftertaste from this . It almost makes you come back to vape again just to get a reminder of the flavor . Good stuff . Razzle me dazzle . Love two flavors, razzle and berry blend, both are delicious!!! Got this as an extra with a previous order. I was pleasantly surprised. Not overpowering, very light. A nice berry mix without an aftertaste. I've ordered a lot of liquids online and this is the first bottle I've been able to finish. I will definitely buy this again. got my free sample (10 ml) today and i really dig this juice. i'll be back as a paying customer real soon! I LOVE this flavor; when I've had enough of dessert and sweet flavors, I head for this one. It's so light, with only just a hint of sweetness. Sometimes I use it to cut some of my stronger flavors. Works really well with coffees. Like other reviewers, wish it would come in a larger size than 10ml. This is the most excellent flavor I've ever tried, out of the many many flavors I have tried here, this is the best. And I completely agree, this should be your advertising campaign flavor. Put this flavor in a disposable ecig that we can buy here on the store so we can pass them out to our friends and hook them on a cleaner path for life! This flavor is the best I've ever had, can't wait to buy more. Right from the very aromatic smell out of the bottle to the first puff. There is nothing like it I have found! DOn't Change A Thing Apollo. This should be your advertising campaign. Go to the Swap meets and pass out puffs of this, I am sure every smoker at the Swap meet will be hooked and a non-smoker! Very nice berry. Can really tell the flavoring is there, not sweet at all, gives you the idea of wonderful aroma of assorted berries within the sinus cavity. a Lightly tart and fresh sensation. LARGE vapors, very large. Medium throat hit, not burning or overpowering. Just very nicely done. Great for those who like berry flavored tobaccos. AT FIRST I THOUGHT THIS WAS TOO LIGHT IN FLAVOR HOWEVER, AFTER A FEW VAPES I FOUND THAT I REALLY ENJOY THE FRUITY BERRY FLAVOR. IT'S NOT AT ALL OVER POWERING AND GIVES OFF A VERY SUBTLE AROMA OF FRESH BERRIES FOR JUST A SECOND. IT'S NOT A HEAVY THROAT HIT WHICH MAKES IT VERY NICE TO ENJOY AFTER A MEAL OR READING A BOOK SNUGGLED UP COZY. I ADDED A LITTLE OF THE MENTHOL BREEZ AND WOW, WHAT A TREAT. THE MENTHOL GAVE IT A BOOST WHICH INTENSIFIED THE FLAVOR VERY NICELY AND MAKES THE THROAT HIT SHARPER YET SUBTLE. This was my very first flavor from apollo. I cannot say enough about this: the cool berry flavor, the nice hit to the throat, the sweetness, and the fact that it goes with nearly EVERYTHING!! Eat a piece of chocolate cake and then vape on this - terrific!! Finished w/dinner and feel like a liqueur?? Vape on Razzle and your taste buds are once again in heaven after that wonderful dinner you just had - and can still drive home, LOL! I promise you that if you love berry flavored stuff, you will try this and never go back. You are sure to find all kind of things to mix this with. And my favorite thing to mix this with is my other fav: Berry Blend!! It's wonderful, it's marvelous and it's calling my name now! I loved this so much! Very fruity flavor! 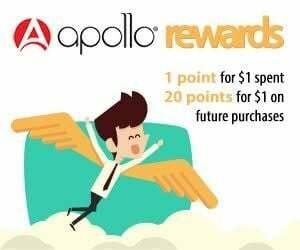 Good job Apollo! Good mixed berry taste with some tart to it.